In September 2012 Angelina Jolie visited Turkey in her capacity as United Nations Special Envoy for Refugees. At that time the civil war in Syria had been going on for eighteen months, and there were approximately 80,000 men, women and children who had fled across the border to escape the violence. 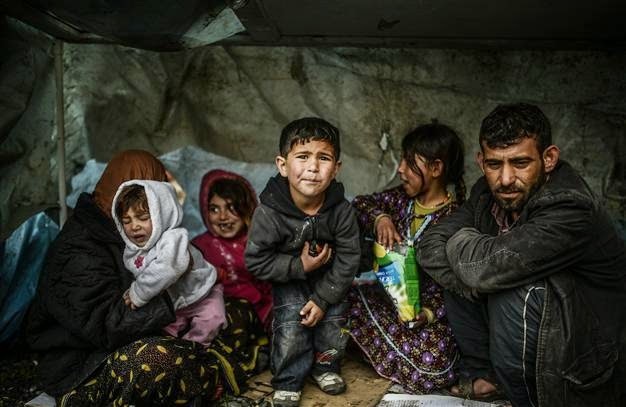 Ms Jolie and the UN High Commissioner António Guterres expressed high praise for the twelve well-organised camps set up by the Turkish Government to house the displaced Syrians. At the same time, they also urged other UN member states to recognise the need to provide tangible assistance to neighbouring countries like Turkey that were directly affected by the influx of destitute refugees. That was then – this is now. There are currently 224,000 Syrians in those camps near Turkey’s southeastern border. The UN estimates that to be less than one third of the 700,000 they believe are in the country. The Turkish Government puts the number higher, at around 900,000. Whichever is correct, it is evident that those government camps, however, well-organised, are no longer able to cope with the vast numbers fleeing the war – and hundreds of thousands of homeless, jobless Syrians have now made their way to the larger cities in search of work and accommodation. Turkey’s Minister of Foreign Affairs, Ahmet Davutoğlu, has been in Jordan meeting with Mr Guterres and other regional foreign ministers. According to an article in Hürriyet Daily News, ‘the U.N. refugee chief criticized the international community for “not contributing enough” to solve the issue’. For his part, Mr Davutoğlu suggested that what was really needed was international aid to protect Syrian citizens in their own country. While Turkey maintains an open border policy and does not turn refugees away, the huge numbers are placing great stress on the economy, and there is a danger that resentment against them will grow and lead to undesirable outcomes. This influx of refugees, however, is by no means just a recent phenomenon. The first major wave of immigration was large numbers of Sephardic Jews fleeing from religious persecution in Spain at the end of the 15th century. The so-called ‘reconquest’ of the Iberian Peninsula involved the forced conversion or expulsion of Muslims and Jews whose families had lived there for centuries. 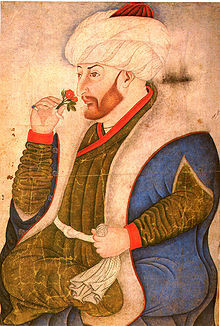 Sultan Bayezid II welcomed Jewish settlers into his empire, reputedly saying “the Catholic monarch Ferdinand was wrongly considered as wise, since he impoverished Spain by the expulsion of the Jews, and enriched us”. By the 19th century, the Ottoman city of Selanik (now Thessaloniki in Greece) was home to the largest Jewish population of any city in Europe. Many of them relocated to Istanbul after the Greek occupation, and later to the new state of Israel. There are still, however, many synagogues to be found in Istanbul, their congregations worshipping in the archaic Spanish dialect known as Ladino. It is generally agreed that the Ottoman Empire reached the peak of its power during the reign of Sultan Suleiman around the middle of the 16th century, although it continued to extend its territorial reach until the armies of Mehmet IV were notoriously turned back from the gates of Vienna in 1683. From that time, the seemingly invincible Ottomans began losing battles and ground to, in particular, the rising and expanding powers of Habsburg Austria and Tsarist Russia. Habsburg expansion occurred primarily in the Balkan region, much of which had been under Ottoman rule for centuries. For the Russians, a major goal was annexing territories that would give them access to warm water ports on the Black Sea and ultimately the Mediterranean. These territories, Ukraine, Crimea and the Caucasus, while not directly under Ottoman control, were inhabited predominantly by Muslims and definitely within their sphere of influence. As Habsburg and Russian forces seized control of these regions, vast numbers of Muslims were killed or uprooted. It has been estimated that between five and seven million refugees flooded into the shrinking Ottoman Empire between 1783 and 1913. More than half of these were Crimean Tatars and Circassians displaced by the Russian southward advance. Dawn Chatty, Professor of Anthropology and Forced Migration in the Refugee Studies Centre at Oxford University, in an article entitled Refugees, Exiles, and other Forced Migrants in the Late Ottoman Empire, suggests that an understanding of historical context is essential in the study of refugees. She argues that ‘by and large the circumstances, experiences, and influences of refugees and exiles in modern history are ignored’. Her article focuses on ‘the forced migration of millions of largely Muslim refugees and exiles from the contested borderland between the Ottoman Empire and Tzarist Russia’. In particular, Professor Chatty examines the plight of the Circassians, hundreds of thousands of whom sought sanctuary in Ottoman Anatolia after Russian conquest of the Caucasus was completed in 1864. In March 1821, encouraged by Lord Byron and other romantically poetical, classically indoctrinated English aristocrats, ‘Christians’ on the ‘Greek’ peninsula began a revolt against their Ottoman rulers. Certainly there were decidedly unromantic atrocities committed by both sides in the conflict, but the end result was that Muslims, whose families had lived there for centuries, and others perceived as Ottoman sympathisers (eg Albanians and Jews) were pretty much exterminated on that side of the Aegean Sea. Those who managed to escape sought refuge on the opposite coast. This is the context in which we need to the view the later sufferings of Armenians and Orthodox Christians in the early years of the 20thcentury. Ottoman Muslims (who had long coexisted with Christian minorities within their own borders) had learned that defeat by ‘Christian’ powers would quickly result in extermination or expulsion of Muslims from the conquered lands. They had also learned that a tactic of those powers was to incite Christian minorities to rebel, then claim the right to ‘defend their co-religionists’ from reprisals. A sad result of Britain’s encouragement of the Greek invasion of Anatolia in 1919 was the event known to Greeks as ‘The Asia Minor Catastrophe’, when, after their defeat in 1922, more than a million Orthodox Christians were forced to relocate to Greece, their places taken by almost half a million Muslims sent the other way. Other refugee flows to Turkey occurred as a result of state-sponsored terrorism in Bulgaria and Romania from the 1940s to the 1980s when Muslims were forced to change their Turkish-Arabic names. It is estimatedthat 230,000 Muslim refugees and immigrants sought refuge in Turkey from the Balkans between 1934 and 1945, and 35,000 from Yugoslavia from 1954 to 1956. In 1989 a further 320,000 Bulgarian Muslims fled to Turkey and perhaps 20,000 from Bosnia. In the end, of course, these events are all in the past, and to be fair, some Bulgarian Muslims were able to return to their former homes after the collapse of the Communist regime. 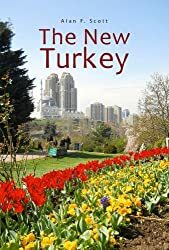 In general, however, the developing economy of Turkey (and before it, the struggling Ottoman Empire) has been obliged to deal with huge inflows of impoverished refugees displaced by events occurring beyond their boundaries and control. In large part, they have done this without complaint and with little assistance from wealthier nations. Now, it seems, they are doing it once more. Again, to be scrupulously fair, the British Government agreed in February to take five hundred of ‘the most traumatised Syrian refugees’. The decision came, however, only after stiff and protracted resistance to UN pleas for support. Even New Zealand has offered to accept 100, which, on a per head of population basis, is about three times more generous. Still, when you set it against the numbers flooding into Turkey, Jordan and Lebanon (without getting into a comparison of per capita GDP) both look like token gestures. I too feel sorry for those two hundred schoolgirls kidnapped in Nigeria, but I can’t help feeling that anger in Western nations seems disproportionate when compared with their lukewarm response to the unfolding human tragedy in Syria. And I can’t help wondering whether, had those Nigerian girls been Muslim instead of Christian, the cries for action would have been quite so strident and widespread. There was an interesting exhibition in Istanbul recently – a collection of paintings by an artist called Faruk Kutlu. Not that the works themselves are likely to turn the art world on its head, but the title caught my eye: ‘Kafkasya’dan Sürgün’ – in English, ‘Deportation (or Exile) from the Caucasus’. It interested me because I’d recently visited Sakarya, a small city not far from Istanbul, and people there told me that their ancestors had come from the Caucasus region. I’m irresistibly fascinated by these little historical mysteries, so I had to check it out. It turns out that representatives of the Adygeyans (which is apparently what the Circassian people of the Caucasus call themselves in their own language) have, for some time, been lobbying the Russian Government seeking an apology for an alleged genocide that took place in the 1860s. ‘Dammit,’ I hear you say. ‘This word genocide is going to lose its meaning if it gets bandied around so frequently and lightly’ – but I have to say’ this one is definitely worth a look. The Soviet Union, which collapsed in 1991, was heir to the domain of the Russian Empire, officially dated from 1721. By the second half of the 19th century, under Tsar Alexander II, Russia had built the third largest empire in the history of the world, and as we all know, its religion was Eastern Orthodox Christianity. Well, like most generalisations, that’s only part of the truth. In fact the expansion of the Russian border to the south was largely at the expense of central Asian and Caucasian states, which, at the time, were overwhelmingly Muslim. The policy of successive Russian monarchs had been to ‘discourage’ the Muslim religion in the interests of civilisation, Christianisation and Russification. Perversely, the Muslim inhabitants of the Caucasus chose to reject the invitation to become part of this Orthodox Russian civilisation, and their resistance lasted from 1817 to 1864. The intervening struggle is variously known as the Caucasian War, the Russian Conquest of the Caucasus, and, apparently, the local Muslim population even had the temerity to call it the Holy War! But in the end, the result was pretty much as you would expect: the big guys beat the little guys, and the price exacted from the little guys was in proportion to the time and inconvenience they had put the big guys to. What actually happened at this point is, of course, not easy to ascertain. Circassian sources claim that 400,000 of their people were killed and around 500,000 were forced to leave their homes and seek resettlement in the neighbouring Ottoman Empire, many of these refugees dying on the journey, or later in the crowded, insanitary conditions in which they were obliged to live on arrival. Russian sources are understandably less specific on details, but the matter of mass deportation is beyond dispute, as is the fact that Muslim populations within the expanded Russian Empire became minorities in areas where they had previously been the majority. At this point, I want to turn my attention from the micro- to the macro-, and to introduce a political concept known as ‘The Great Game’. You are probably aware that the 19th century saw the beginning of a period in history often referred to as the Age of Imperialism. The major European nations (including Russia) were engaged in the process of empire-building, just as some formerly powerful empires were in the process of disintegration. Key aspects of the imperialism business were: maintaining the balance of power while seeking to grab as much territory as possible for your own empire, and at the same time, limiting the growth of the others. No doubt you are also aware that India was the ‘Jewel in the Crown’ of the British Empress, Victoria; and of course, Vicki and her ministers were not amused to see that jewel threatened by the southward expansion of the Russians. ‘The Great Game’ is the name given to the conflict and rivalry between the British and Russian Empires for control in Central Asia. The ‘game’ became increasingly serious from the 1850s, when oil began to assume major importance as an economic resource. Political ‘game’ it may have been considered by some, but in reality, it was played at great expense in money and human life. Take as example the three Anglo-Afghan wars fought between 1839 and 1919. It’s almost enough to make you feel sorry for the Afghans. But that’s another story. 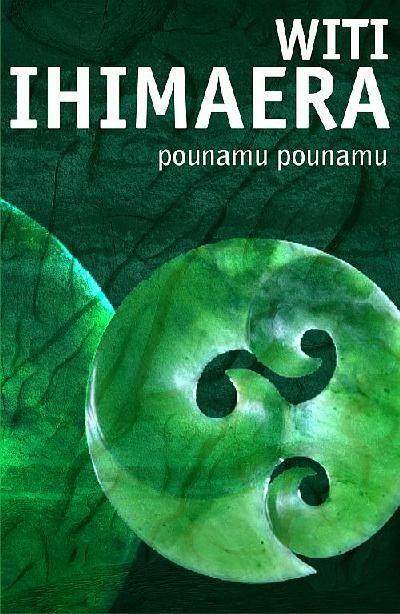 Running parallel to, and occasionally overlapping this ‘game’ were the power plays related to ‘The Eastern Question’. This was another driving force in the policies of the European Great Powers during the 19th century and up to the end of the First World War. Essentially, the question can be put thus: When will the Ottoman Empire finally disintegrate, and who will get all the good bits when it does? As noted above, all the European empire-builders were keen to benefit from the Ottoman collapse; but at the same time they were equally keen that their rivals should not. Once you grasp these relatively simple principles, a lot of the otherwise confusing activities of the European empire states, not to mention events unfolding in apparently distant unrelated places, become more intelligible. Take, for example, the Crimean War. The Charge of the Light Brigade was no doubt a marvellous example of the incomparable bravery and discipline of the British fighting man. But what on earth were they doing over there fighting a war on Russia’s back doorstep for nearly three years? Well, in fact, they were part of a British strategy to keep Russia iced up in its frozen wastes and prevent it from gaining access to the warm waters of the Mediterranean. In the 1850s, this strategy required bolstering up the Ottomans and helping them defend their realm. Go back, however, a mere 26 years to 1827, and you would find the warships of Britain, France and Russia fighting together to destroy the Ottoman navy off the coast of southern Greece. At that time, it suited the European powers to encourage and then support Orthodox Christians to unite in a nationalist struggle and declare the independence of the Greek peninsula. We can guess that the British were keen to have a compliant puppet state in the eastern Mediterranean, but what was in it for the Russians? Most likely there was some deal going on – you help us out here and we’ll try to work something out for you over there. Turn a blind eye to what you’re doing to the Muslims in central Asia, for example? Incidentally, you might want to ask how those Russians got their ships into the Mediterranean to participate in the battle. That’s the trouble with history – you answer one puzzling question and it raises several equally troubling new ones. But I refuse to be sidetracked. Our subject is genocide, and its euphemistic little sibling, ethnic cleansing. The Greek peninsula had been part of the Ottoman Empire for centuries, and its population had large Muslim and Jewish elements. In fact, at this point, it will be worth our while to take a look at the composition of the Empire. The Ottomans were a ruling elite, for sure with their origins in the Turkish migrations from central Asia, but, by reason of conquest, long residence and inter-marriage, considering themselves cosmopolitan, and even (dare I say it?) European. They regarded themselves, with some justification, as the legitimate heirs of the Byzantine Roman Empire; the Sultan’s mother would almost certainly have been a Byzantine princess, or Bulgarian, or Russian, but assuredly not Turkish. Their language, although based on Turkish, had a large admixture of Persian and Arabic. Their empire included a wide range of ethnic groupings, religions and languages, and interestingly, they didn’t really try to impose uniformity. The Ottomans recognised four millets (nations) within their boundaries, based primarily on religion. Muslim was the state religion, but this group included Arabs and others, as well as Turks. Christians and Jews were ‘people of the book’, so they were permitted to retain their religious practices and languages, especially the local varieties of Christianity, Greek Orthodox and Armenian. They, with the Jews and the Muslims, made up the four milletsof the empire. What happened at the time of the Greek ‘War of Independence’ was a forerunner of what was to follow as the Ottoman Empire fell apart. We could say that the repercussions have continued to be felt into our own times. For their own ends, the European powers encouraged nationalist sentiments among the Christian subjects of the Ottoman Empire. They then presented themselves as protectors of the Christian minorities when Ottoman authorities, not unreasonably, came down hard on separatist movements within their borders. One side effect of the Greek War of Independence was the killing of rather a lot of Muslim civilians, whose families had been living on the Greek peninsula for centuries. Similar scenarios were played out in Bulgaria and other parts of the Balkans in the later years of the 19th century, as Russia and the geriatric Austro-Hungarian Hapsburg Empire encouraged, also for their own purposes, (Christian) nationalist movements to rise up and throw off the chains of Ottoman hegemony. In fact, Muslims were still being slaughtered in the Balkans, and refugees streaming from Bulgaria into Turkey long after the demise of the Ottoman Empire, right up to the 1980s. The fledgling state of Greece also took the opportunity to expand its territory at the expense of the beleaguered Ottomans. The important trading city of Selanik, birthplace of Mustafa Kemal Atatürk, and reputedly home to the largest Jewish population in Europe, was taken by the Greeks in 1912. Not long after, a catastrophic fire wiped out most of the Jewish and Muslim parts of town, and you will look hard to find a mosque or a synagogue in the modern Greek city of Thessaloniki. When the First World War ended, the victorious vultures descended in force on the body of the dying Ottomans. It has been argued that the punitive damages imposed on Germany at that time contributed to the rise of Hitler and thence to the Second World War. Under the terms of the Treaty of Sevres, the Ottoman Empire was not merely to be punished; it was to be dismantled and the pieces given into the hands of outsiders. For the purposes of this article, the most significant event was the landing of a Greek army on the Aegean coast of Anatolia backed by the guns of warships from the European victors of the ‘Great War’. What ensued was a three-year war, during which Christian inhabitants of the region at first welcomed their ‘liberators’ and many Muslims were killed, followed by a successful counter-attack by the newly formed Turkish nationalist forces. Needless to say, some revenge was undoubtedly exacted by the now victorious Muslims. The end result was a forced population exchange in which Muslims and Christians, who had existed side by side in relative harmony for centuries, were forcibly relocated: the Christians of Anatolia being sent to mainland Greece to be replaced by Muslims going the other way. It’s a sorry tale, isn’t it! But history is history, and you can’t turn back its relentless tide, however much you may wish to. Before we finish, however, let’s return to the other theatre of conflict we were discussing earlier – the expanding southern borders of Russia. Of course, as the British well knew, the Great Bear would not be content with merely adding a few central Asian state-lets to its empire. A major goal was always access to the Mediterranean. Clearly the Bosporus Straits would be ever problematic, so another option was to drive a channel though eastern Anatolia, again, at the expense of the moribund Ottomans. Fortunately a pretext was available in the form of the Christian Armenians, who could be incited to rebellion, then offered ‘protection’ in the form of a Russian invasion to help them set up a nationalist state from which any inconvenient Muslims could be ethnically cleansed (though the term was not invented till later, of course). Again, we may suspect that Armenian independence would have been short-lived, or nominal. However it was, Armenian nationalists in eastern Anatolia were enthusiastic about Russian support, and ready to create ‘incidents’ which would encourage Russian intervention on their behalf. The Ottoman government, for their part, had a clear example, in the Caucasus, of what was likely to happen in the event of the Russians gaining control. Whatever happened to the Armenian milletin 1915, and undoubtedly it was a tragic event, it needs to be remembered that, as always, there are at least two sides to the story. The Ottoman Empire was fighting for its life in a major war on at least three fronts. And, in an analogous situation, as the present-day Russian government has pointed out with respect to the Caucasus deaths, the pre-revolutionary Russian Empire was a different entity.